Last updated April 10, 2019 by Lisa Richards, CNC Reviewed by Dr Eric Wood, ND. What should you eat if you’re suffering from Candida? If you suspect that your gut is imbalanced, your diet is the first place to look. A diet high in sugar and processed foods can cause repeated yeast infections, digestive issues, and weakened immunity. On the other hand, eating the right foods can rebalance your gut and prevent those symptoms. By the time you’ve finished reading this page, you’ll know exactly how to follow a low-sugar, anti-inflammatory diet that will start to rebalance your gut. We’ve sorted our list of Candida diet foods into a few easy-to-understand food groups. These are listed in the table below. Further down the page, you’ll find a more detailed description of each food group. These include lots of foods that are particularly useful for promoting gut health and recovering from a Candida overgrowth. There are three Candida food lists on this website. You’ve found the list of foods to eat on this page. You can also check out the list of foods to avoid (e.g. fruit juices, sugary snacks) and the list of ‘maybe’ foods (e.g. beans, peaches, rice). Candida albicans relies on sugar to reproduce, colonize your gut, and create the biofilms that protect it from your immune system (1). It doesn’t matter if the sugars you eat are natural (e.g. bananas) or processed (e.g. candy bars). This list contains only foods that are low in sugar. There is more and more evidence that glutenous foods can create health problems, even in those who are not celiac (2). The gluten in bread, pasta, and cereal can cause chronic inflammation in your gut and destroy the bond between the cells lining your intestinal wall. Our list of Candida diet foods contains only gluten-free grains and pseudo-grains. Avoiding inflammation is one of the keys elements of the Candida diet. That’s why we ask you to avoid processed foods, minimize your caffeinated drinks, and eat lots of anti-inflammatory, fermented foods. Your Candida diet should include lots of non-starchy vegetables, some probiotic foods, plenty of healthy proteins, and some non-glutenous grains. You’ll be amazed at the number of simple, tasty meals that you can prepare. Just take a look at our recipes section for a few ideas! You should be able to eat all of the foods on the list in reasonable amounts during your Candida diet. If you stick to these foods, you can be sure that you are not feeding your Candida overgrowth, and that you are making progress towards recovering your health. The foods on this page should form the majority of your diet. You can also take foods from the Maybe list, but be sure to eat them in small amounts and prepare them in a way that doesn’t increase their glycemic load. Remember to make sure that your meals are balanced. A good example might be an egg salad with a simple dressing of olive oil, lemon, and salt. 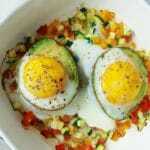 This meal contains protein from the eggs, healthy fats from the olive oil, and carbs from some avocado and other vegetables. Plus lots of healthy vitamins and minerals. The typical American diet is more than 50% carbohydrates, packed full of processed foods, and low in nutrients (3). This is one of the reasons why gut health is generally so poor. Follow the Candida diet and you’ll be eating foods that are nutrient-rich, unprocessed, and great for your overall health. Here is the list of foods to eat on the Candida diet. You can click on any of these links to read a more detailed view of which foods you can eat, how they can help with your Candida, and some suggested recipes to try. And here is a table showing the Candida foods list. Eating non-starchy vegetables starves Candida colonies of the natural sugars that feed them. Try to eat mostly low-starch vegetables like asparagus, broccoli, eggplant, onions, and zucchini. You should buy your vegetables fresh and eat them raw, steamed, or grilled. Minimize starchy vegetables such as sweet potatoes, potatoes, yams, corn, winter squash, beets, peas, parsnips, and beans, especially in the early part of your diet. When you switch to a low sugar eating plan, there is often a temptation to eat lots of starchy vegetables as a substitute. The best vegetables to eat are generally those that are high in micronutrients but low in carbs. These include all leafy greens like spinach or kale. They also include anything from the cruciferous family, like broccoli, cauliflower, or cucumber. Rutabaga (sometimes known as Swede) is an exception and allowed in the diet. Although you might think of it as a starchy vegetable, it is quite low in net carbs. It is also in our list of antifungal foods, and so can help to rebalance your gut bacteria (4). Jicama is another exception. Just like the rutabaga, it is deceptively low in net carbohydrates and has a low glycemic load. The best thing about jicama is that it contains lots of inulin, a prebiotic that can feed the ‘good bacteria’ in your gut and promote a healthy gut microbiome. The way that you prepare your vegetables is very important. For example, roasted carrots have a much higher glycemic load than raw or steamed carrots. You might be able to include some raw or steamed carrots in your diet without worrying about your blood sugar. Equally, fried onions have a much higher glycemic load than raw onions. In general terms, eating your vegetables raw or steamed is best. Boiling, grilling, lightly frying, and roasting can be good choices, depending on the vegetable. While we’re on the subject of starchy vegetables. it’s important to note that you shouldn’t be too restrictive in your diet. You should eat mostly from the Candida foods list on this page, but you can feel comfortable including a few foods from the Maybe list too. If you go too restrictive in your diet (i.e. no carbs at all), you may end up in a state of ketosis which can actually feed a Candida overgrowth (5). 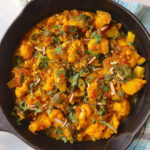 Here are some good examples of tasty meals that include the non-starchy vegetables on this list. When you’re choosing vegetables to eat, don’t just look at the amount of carbohydrates. What you should really be looking at is something called ‘net carbohydrates’. This takes into account the fact that not all of the carbohydrates in your food will have the same effect on your blood sugar. Fiber and sugar alcohols will have little effect on your blood sugar, so they are excluded. To calculate net carbs, simply take the total amount of carbohydrates and subtract the total of the fiber and the sugar alcohols. You can see that some high-carbohydrate vegetables might have low net carbs if they contain lots of fiber. Brussels sprouts are a great example. A 100g portion contains 9g of carbohydrates, but 4g of fiber. That means that a portion contains only 5g of net carbs. Fruit is generally eaten only in small amounts during the Candida diet. Fruits are generally quite high in net carbs, and some of the natural sugars found in fruits can feed a Candida overgrowth (6). As a rule, Candida albicans doesn’t discriminate between natural and processed sugars. It is able to use both to support its colonies and build biofilms to protect itself from your immune system. There are differences between the three types of sugar that are typically found in fruits. Fruits contain varying amounts of fructose, glucose, and sucrose, and your body handles all three of these quite differently. Sucrose has been shown to strongly support Candida growth and biofilm creation (7). Glucose has also been demonstrated to promote Candida albicans growth and activity (8). Fructose is a little different. Research shows that fructose is metabolized more slowly by Candida than other sugars (9). And there is evidence that fructose may, in fact, inhibit the growth of Candida albicans (10). In fact, fructose is still sometimes recommended as a sweetener for diabetics (11). There is, of course, a complication. Eating too much fructose in the long term can lead to insulin resistance, fatty liver disease, diabetes, and more (12, 13). But if you’re following a low-sugar diet and avoiding fructose-based sweeteners, this should not be a problem. What does this all mean for fruits on the Candida diet? When you’re deciding which fruits to add to your list of foods to eat, you need to look at two things. First, calculate the net carbs by taking the total carbohydrates and subtracting the fiber and sugar alcohols. Second, find out how much of those sugars are accounted for by fructose, glucose, and sucrose. Remember – fructose will have less of an impact on your blood sugar than the other two natural sugars. Some fruits, like lemons, limes, and avocado, will have very little impact on your blood sugar. You can certainly consume these while on the Candida diet. Others, like grapes, bananas, and figs, are high in net carbs and not suitable at all. When you start your Candida diet, consider sticking mostly to fruits that are very low in natural sugars. Other lower-sugar fruits, like berries or apples, may be eaten in small amounts. Grains and pseudo-grains are one part of the Candida diet where there tends to be some disagreement. Some practitioners believe that non-glutenous grains can be consumed in any amounts. Others believe that the net carbs found in these grains should completely exclude them from the diet. The truth is somewhere in the middle. Regular grains like wheat and barley should certainly be eliminated because of their gluten content. Although initially controversial, it’s now well established that gluten can cause health problems even for those without celiac disease. In fact, gluten has been shown to trigger systemic immune activation and damage the intestinal lining (14). If you are suffering from a chronic intestinal Candida overgrowth, your gut has likely already been damaged. Give it a chance to repair itself by staying away from gluten, and consider taking some gut-healing supplements and foods. Good examples are L-glutamine, slippery elm, and marshmallow root. The question of net carbs is more complicated. Pseudo-grains like buckwheat, millet, and quinoa don’t contain any gluten, but they do contain fairly large amounts of net carbs. For example, 100g of buckwheat groats contains 60g of net carbs. Ordinarily, that might exclude them from a Candida diet. But they have other health benefits that balance out the net carbs. Let’s take a closer look at buckwheat. This remarkable pseudo-grain (actually a fruit seed) has a host of benefits for your health. It reduces inflammation, lowers cholesterol, reduces blood pressure, and may even protect you from cancer (15). It also has prebiotic qualities that can promote a healthy gut flora, something that is particularly important on the Candida diet (16). Quinoa, various millets, and amaranth have also been shown to contain prebiotics that can nourish the good bacteria already present in the gut (17). Overall, the health-promoting and prebiotic qualities of these pseudo-grains outweigh the relatively high amount of net carbs that they contain. However, they should only be eaten in small amounts. A common Candida diet mistake is to focus on one food in the list and eat it in enormous amounts. These pseudo-grains can be a small part of a balanced anti-Candida diet plan, but eat them in moderation. We should also discuss flours that are derived from these pseudo-grains. In general terms, grinding something into a flour is likely to slightly increase the effect that it has on your blood sugar. Treat these flours with caution and, again, eat them in small amounts. If you want to bake, try combining them with other flours that have lower net carb counts. Good examples are coconut flour and almond flour. Protein is a very important part of any diet, but this is particularly true for the Candida diet. When you are restricting carbohydrates, those missing calories will need to come from a combination of fats or protein. Cutting carbohydrates can be a big change but remember – this is not a weight loss diet. Even though you’re eating fewer carbs, you should make sure you are eating enough calories. There are a few things to keep in mind when you are buying proteins. That might mean buying organic, or local, or just working with a trusted butcher or fishmonger. Some fish contain much, much higher levels of toxins than others. Tuna and swordfish are the most commonly cited examples (18). These toxins (particularly mercury and other heavy metals) can weaken your immune system and leave you more vulnerable to pathogens like Candida. There is no better source of protein than organic, free-range eggs. Eggs are a nutritional powerhouse and you should feel comfortable eating several per day if you choose. If you prefer to eat red meat, be aware of the side effects that it can have on your digestion and health. Red meat can cause constipation and has been linked to various cancers of the gastrointestinal tract. Limit your quantities, and look for pasture-raised, hormone-free meat where possible. If you’ve been suffering from Candida overgrowth, chances are that your gut needs some support. Candida has been shown to damage the gut lining, which can lead to further symptoms like food sensitivities. Bone broth contains compounds like collagen, glutamine, glycine, and proline, all of which can help to restore the health of your gut (19, 20). The best dairy products to eat are the fermented ones. Live probiotic cultures help your gut to repopulate with good bacteria, while the fermentation process reduces the sugar content in the food. There are two great examples of probiotic dairy foods, and you can include them both in your Candida diet. Probiotic yogurt is perhaps the most easily available probiotic food. You can find it in any supermarket, often under multiple brand names. When you buy it, make sure it contains live cultures – it should say that somewhere on the packaging. Also be sure to buy a yogurt without added sugar or flavorings. Plain, probiotic yogurt is what you’re looking for. Kefir is more of a specialty item but is rapidly increasing in popularity. If you haven’t tried it before, it’s a milk-based fermented drink that is like a tangier version of yogurt. Kefir generally contains a different set of probiotic strains than yogurt does. There’s no reason why you can’t include both in your diet. One of the advantages to fermented dairy products is that you can make them at home. Fermenting your own yogurt or kefir is really easy and absolutely anyone can do it. Other dairy products are more complicated. Butter and ghee are acceptable because they are low in lactose (especially ghee). Some cheeses might be OK on the Candida diet, particularly those that are low in lactose, but these cheeses still likely contain large amounts of casein. Milk is generally off the menu, again because of the lactose and casein. Lactose is a natural sugar and casein is a protein that is responsible for many dairy intolerances. Also be aware that organic dairy products are a much better choice. Non-organic dairy products tend to contain hormones and antibiotics that can play havoc with the gut, and prevent long-term healing. Nuts are a nutritious way to boost your calorie intake now that you’ve committed to reducing the number of carbs that you’re eating. Most nuts are fairly low in carbs, and the portion sizes tend to be relatively small anyway. There are a few nuts that are in fact high in net carbs (cashews and pistachios, for example), so you should be mindful when eating those. Pecans and Brazil nuts tend to be lowest in net carbs. Mold is another consideration when we discuss nuts. Most nuts do contain at least some mold, which has the potential to be troublesome for Candida sufferers. This is not because mold ‘feeds the Candida’, as you might have read elsewhere. The concern is that Candida sufferers are particularly sensitive to mold exposure, and the mold in the nuts may trigger a reaction. This is something of a grey area. Many Candida dieters eat plenty of nuts without having any issues at all. For vegetarians in particular, they form a very important part of the diet. If you are concerned about mold exposure from the nuts you are eating, the best thing to do is to soak them in water overnight. Alternatively, you can spray them with a little Grapefruit Seed Extract, an antifungal the will quickly deal with any residual mold. The nuts most affected by mold tend to be cashews, peanuts, pecans, and pistachios. For baking, almond flour and coconut flour are healthy options and very low in net carbs. They are often combined with a pseudo-grain flour like buckwheat. There are a couple of reasons why herbs and spices are an important part of your Candida diet. First, they add flavor to your foods. This is especially important if you’ve been eating a lot of processed food up until this point. When you take out toxic flavorings like high fructose corn syrup and MSG from your diet, herbs and spices can fill the gap. It can be as easy as spreading some basil pesto on your chicken. Second, herbs and spices have a whole host of other health benefits. Besides containing virtually no carbohydrates, they can reduce inflammation, improve circulation, support your liver, and much more. It’s not always possible to find good quality herbs and spices in your local supermarket. The spices there have likely been packaged and stored for a long time, often in excess of a year. By that point, the spices are stale, possibly moldy, and have lost much of their flavor and health benefits. Better places to shop for herbs and spices include ethnic shops and spice merchants. You can also find them online from reputable suppliers. Look for somewhere that has a high turnover – their herbs and spices will likely be fresher and higher quality. Let’s take a look at a couple of spices that you can include in your Candida foods to eat list, and how they might help to fight a Candida overgrowth. Turmeric is a culinary spice that has some remarkable health-promoting properties. It’s active ingredient, curcumin, has been shown to be a potent antioxidant, reduce inflammation, and help with conditions such as metabolic syndrome (21). It’s also an antifungal that has been shown to inhibit the growth of Candida albicans (22). Cinnamon is another good example. It has proven antifungal properties, both in the lab and in vivo (23). It can also help to improve glycemic control in diabetics with blood sugar levels (24). Condiments are more complicated. Most, if not all, of the condiments in your supermarket are quite unhealthy. Condiments like ketchup and HP sauce are loaded with added sugars that can feed a Candida overgrowth, not to mention all the preservatives and colorings that can affect your health in other ways. You won’t find any direct replacements for ketchup on the Candida diet. If you season your food well and use lots of herbs and spices, you probably won’t even miss it. If you find that your food needs a little extra flavor, try some coconut aminos. This is very similar to soy sauce, but made entirely from coconut. For salad dressings, try combinations of apple cider vinegar, olive oil, lemon, and coconut aminos. Whatever salad you’re preparing, you can make a delicious dressing that will bring out the flavor of those fresh, tasty foods. When it comes to the Candida diet, not all oils are created equal. Oils like canola oil and vegetable oil tend to be highly processed and lacking in many of the nutrients that you should expect from an oil. Other oils, especially sunflower oil, are high in omega-6 fatty acids which can be pro-inflammatory unless you’re consuming lots of omega-3s to balance them out. There are a number of healthy oils that are excellent choices on a Candida diet. You’ll find them used repeatedly in the recipes on this website. The best examples are coconut oil and olive oil, two oils which are particularly good options because of their antifungal properties. Olive oil is the most versatile, healthful oil that you can incorporate into your new diet. It contains a potent compound named oleuropein that can prevent Candida from adhering to the intestinal membrane (25). And other research has shown that it can reduce blood sugar levels too (26). You can use olive oil for baking, frying, dressing salads – just about anything. When buying an olive oil, look for one that is labeled ‘extra virgin’ Be aware that there is rampant fraud in the olive oil industry and many bottles may actually be mixed with cheaper oils like canola (27). Find a bottle from a reputable manufacturer (Italian manufacturers are, unfortunately, the worst). Even better, look for one of the local olive oil specialty stores that are appearing in most large towns and cities. Coconut oil is made up of three different medium-chain fatty acids – caprylic acid, capric acid, and lauric acid. When coconut oil is consumed as a whole food supplement, these amazing fatty acids have been shown to work together to be effective against Candida albicans (28). You can use coconut oil as your regular cooking oil or for baking. Keep in mind that it is often solid at room temperature, so you won’t be able to use it for salad dressings. We’ve already discussed butter and ghee in the dairy section. They are perfectly acceptable options for cooking and baking on the Candida diet. Added sugar is the most important element to remove from your diet when you’re fighting a fungal Candida infection. Sugar allows Candida albicans to grow, expand its colonies, and create a biofilm to protect itself from your immune system (29, 30). During your Candida diet, you shouldn’t be adding any sugar to your baking, recipes, or drinks. You should also be avoiding any foods that have added sugars, for example candy bars, sushi rolls, or processed cereal. It’s not easy to give up sweet foods, especially if you’ve been developing your sweet tooth for your entire life! In the long term, the goal is to start enjoying savory foods and flavors – eventually, you’ll find that many of your old favorites are just too sweet for your palate. For now, though, here are some sweeteners that you can use on the Candida diet. Stevia is a zero-calorie, herbal sweetener that tastes incredibly sweet (31). In fact, you only need a tiny amount of stevia to replace a tablespoon of sugar. The taste does have a hint of bitterness to it, which some people don’t like, but many Candida dieters use stevia regularly in their cooking. Monk fruit extract has been used as both a sweetener and medicine for centuries. Like stevia, it’s very sweet. But it doesn’t have stevia’s aftertaste and it doesn’t tend to cause digestive upset like some sugar alcohols do. Monk fruit extract has no carbs or calories and contains nothing that might feed a Candida overgrowth. Next up are erythritol and xylitol. These are both sugar alcohols that can add sweetness to your food without adding carbohydrates to your diet. Both are good options for a Candida diet and have been used to regulate blood sugar. 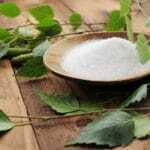 Xylitol has also been shown to limit acetaldehyde production by Candida albicans (32). Stevia, erythritol, and xylitol can be used in place of sugar, but they have a much smaller effect on your blood sugar levels. You generally need only a little of these sweeteners, as they are much sweeter tasting than sugar. These sweeteners are particularly useful for baking. We’ve already covered a couple of dairy-based fermented foods – yogurt and kefir – but fermented foods deserve a category all of their own. One of the central elements of any Candida treatment plan is restoring a healthy balance of bacteria to the gut. Probiotic foods can help you to achieve that. Let’s take a look at a few of the best fermented foods to use on your Candida diet. The most widely used fermented food has to be yogurt, but you have to be careful which yogurt you choose. Make sure your yogurt contains live probiotic strains – it should say both ‘live cultures’ and ‘probiotic’ somewhere on the packaging. Also be sure to buy a yogurt without added sugar or flavorings. The best yogurt for Candida is plain, probiotic yogurt with no advertised flavor. Kefir is one fermented food that is rapidly gaining popularity. It’s a milk-based fermented drink that tastes similar (but a little more tangy) to yogurt. There are usually more probiotic strains in kefir than there are in yogurt, but they are both good choices for your fermented dairy products. They can be made quite easily at home with very little equipment. Let’s move on to the vegetable-based fermented foods. You’ve probably tried sauerkraut, a really simple fermented dish that consists only of cabbage and salt. Sauerkraut is rich in probiotic strains and a really easy food to incorporate into your diet. Just add a scoop to your plate when you eat lunch and dinner. Just be careful when you buy sauerkraut from a supermarket. Most commercial sauerkrauts are pickled, not fermented. That means that, instead of employing the time-consuming fermentation process, many producers simply add vinegar to the cabbage. This kind of sauerkraut will contain no probiotic bacteria at all. Again, look at the labeling. It should include words like fermented, live cultures, or probiotic. Olives are another good example. When fermented properly, they are a low-carbohydrate fruit accompanied by lots and lots of probiotic bacteria that can help to rebalance your gut. However, as with sauerkraut, most of the olives that you’ll find in your local supermarket are simply pickled in vinegar, not fermented. What drinks do you consume during the day? If you follow anything like the typical Western diet, your routine could look like this: coffee and orange juice with breakfast, several more caffeinated drinks during the day, then few glasses of wine or beer in the evening. If that sounds like you, your drinks could be contributing to your Candida overgrowth. All fruit juices and sweetened drinks should be avoided on the Candida diet. You might look at the glycemic index of an apple, which is fairly low at 6, and think that apple juice must be OK. However, the process of juicing apples removed almost all the fiber and the glycemic index becomes much, much higher. Fruit juices are likely to shoot your blood sugar much higher, very quickly. You should try to minimize your caffeinated drinks. They also cause blood sugar to rise and can contribute to long-term fatigue, worsening your Candida symptoms. If you find that you’re drinking more caffeine because you’re tired, its time to start cutting back. Alcoholic drinks are complicated because they actually lower your blood sugar (that’s why you feel hungry after drinking alcohol!) However, they also weaken your immunity, cause fatigue, and often lead to bad food choices. Destabilizing your blood sugar is never a good idea when you have Candida. The list of drinks on the Candida diet includes water, herbal teas, and chicory coffee. These drinks will not spike your blood sugar and have multiple other beneficial effects for your health. For example, chicory coffee is a caffeine-free coffee substitute that contains inulin, a prebiotic that can help promote a healthy gut microbiome. If you really feel like you are missing caffeine, or want to wean yourself off from coffee slowly, there are some options too. Green tea is lightly caffeinated and also contains L-theanine, which counteracts the effects of the coffee and calms you down. Matcha is a powdered version of green tea that has such the same effect, with more antioxidants. If you drink tea, try to find an organic brand if possible. The teas and coffees used in North America are two of the most pesticide-laden foods, which can greatly undermine gut healing. Other drinks that you’ll find on the maybe list are decaffeinated coffee, nut milks, and vegetable juices. Be sure to check the net carbs in any juice or milk that you buy, as there are very wide differences between the various brands and products. The foods to eat on the Candida diet include non-starchy vegetables, low-sugar fruits, healthy proteins, and fermented foods. Look for foods that are unprocessed and contain no added sugars. Avoid any foods that might promote inflammation, especially in the gut. These include gluten, alcohol, some vegetable oils, and caffeine. Eat foods that can reduce inflammation and promote gut repair, Good examples are fermented foods and bone broth. 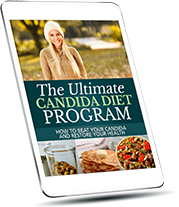 The Candida diet is a balanced, anti-inflammatory diet that can improve your gut health, digestion, and immunity. It may also help to relieve Candida symptoms such as yeast infections, fatigue, and food sensitivities. 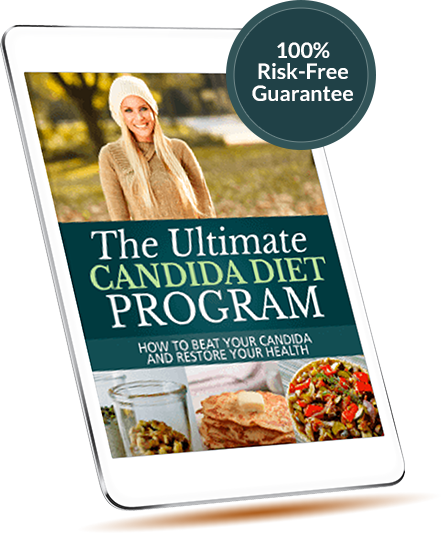 For more information on how to follow the Candida diet, check out our Ultimate Candida Diet program. It includes a five-step program that uses diet, probiotics, and antifungals to reverse a Candida overgrowth. It’s been used by thousands of people to rebalance their guts and improve their health.